Yesterday I watched ‘The Iceman’ which follows notorious contract killer, Richard Kuklinski from his early days in the mob all the way to his arrest years later. 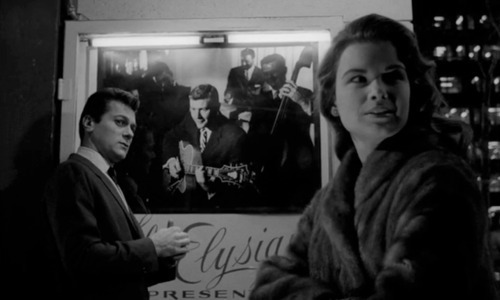 The film begins with Kuklinski and his soon-to-be wife, Deborah, on a date in a cafe, at the beginning of their courtship. 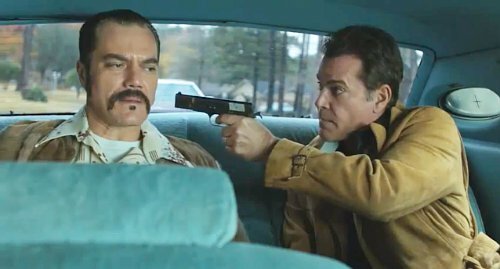 The scenes between Kuklinski (played by the brilliant Michael Shannon) and his wife, Deborah (played by my 90s girl crush, Winona Ryder) are particularly touching as he emanates a vulnerability and warmth with her that is near impossible when portraying such a cold-hearted killer. On first appearance, he seems almost shy, finding it difficult to engage in deep conversation but Shannon’s portrayal of Kuklinski is ultimately an endearing one. There are suggestions that he has been exposed to poor male role models as his views on machismo seem to be highly skewed – when Deborah questions the tattoo of the Grim Reaper on his hand, he says that he got it to appear tough – and this appears to be a recurring theme throughout the film. That is not to say that this is supposed to justify his actions. What the film does incredibly well is raise many questions regarding whether someone can be inherently evil. Kuklinski was convicted of over one hundred killings and in his interviews he showed no remorse; however, the depth of his feeling towards his family (his brother was also a convicted murderer) and the abuse he received as a child seem to point more strongly towards the ‘nurture’ argument. 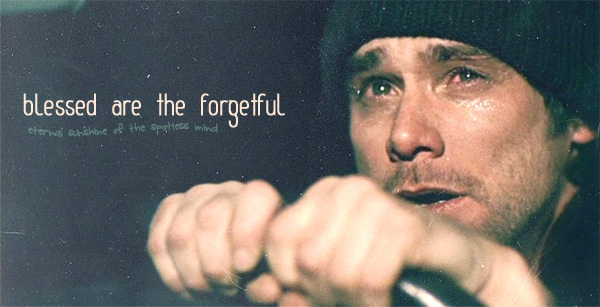 The best thing about the film was undoubtedly Shannon’s raw and riveting performance. There is something so interesting and enticing about his face, his presence and his whole demeanour that it is very difficult to take your eyes away from him. I’m not usually into films that fit into the ‘True Story’ genre as I find many to be overly cheesy; however, this was not a problem for ‘The Iceman.’ I felt that the film explored Kuklinski’s career as a contract killer and his life as a family man in just the right amounts so ‘The Iceman’ never veered into mindless violent territory or sentimental mush. The dialogue was good, though I can understand some of the criticisms it has received in that at times it can seem slightly predictable and forced, but Shannon’s performance more than makes it up for me. I enjoyed the film immensely and walked away from it wanting to learn more about the real life Kuklinski – a fascinatingly sinister character. I am by no means a film buff but I do appreciate a good film. Gone are the days when I would go to the cinema to watch any old rubbish (Hot Tub Time Machine, anyone?! ), just for the ‘experience.’ Time is too precious to watch bad films (or read tedious books, for that matter) so I usually go and watch a film because the synopsis has drawn me in or I think the director is particularly talented. At the end of last year, a friend and I found ourselves in a lovely independent cinema in Edinburgh, watching the 1957 film noir classic, ‘Sweet Smell of Success.’ We chose this out of all the other films that were screening as there is something universally comforting about watching a black and white film on a lazy Sunday afternoon. The film definitely did not disappoint. I had watched some film noir before and liked the stylistic cinematography and the melancholic and cynical themes that the genre frequently explores. The sharp dialogue sometimes takes a little time for you to properly adjust to but once I did, I found myself thoroughly immersed in the quick-talking, fast-paced world. On perhaps a more superficial note, the sharp and glamorous outfits add an exciting dimension to the production and I found myself lusting after Susan Hunsecker’s fur coat the entire way through. ‘Sweet Smell of Success’ had me hooked from the start with its exploration of corruption, intimidation, manipulation and dysfunctional sibling relationships. The plot, in simple terms, revolves around Tony Curtis’ character who is a smarmy press agent and will do anything to curry big-shot columnist Hunsecker’s favour (played by Burt Lancaster). While Curtis’ character is corrupt and in many ways unlikeable, Hunsecker is the ultimate villain, whose overprotective and obsessive behaviour towards his sister manifests in trying to destroy her relationship with her boyfriend (Steve Dallas). Curtis is so desperate to get his clients in Hunsecker’s column that he becomes embroiled in a plot to shame and oust Steve Dallas, which ultimately leads to his own downfall. Tony Curtis is brilliant as a charismatic cunning press agent. Apparently, though, fans of Curtis did not like his departure from the ‘nice guy’ character he had played so many times before – not unusual, of course; change is always met with resistance – which meant that his performance was initially not well received at the preview screening of the film. Burt Lancaster’s performance as the bullying and intimidating columnist, Hunsecker, was also brilliant – Hunsecker was both convincing and terrifying. Thankfully, though, ‘Sweet Smell of Success’ gained in popularity and acclaim over the years as people were able to appreciate it for the stylish and ingenuous insight into the power held by the Manhattan press. I have a feeling I’m in the minority here but I watched the long-awaited ‘The Place beyond the Pines’ last week and HATED it. Well, perhaps, ‘hated’ is too strong a word; there were positives, for example Gosling’s raw performance, the beautiful cinematography and the soundtrack. However, what started out as a semi-promising film soon disintegrated into an oversentimental and thoroughly predictable plot. I had expected great things from director Cianfrance, as ‘Blue Valentine’ starring Ryan Gosling (again) and Michelle Williams was heartbreakingly beautiful. I have the DVD at home and it never fails to move me. Part of Blue Valentine’s appeal was its realness when looking at the painful process of a relationship breaking down. 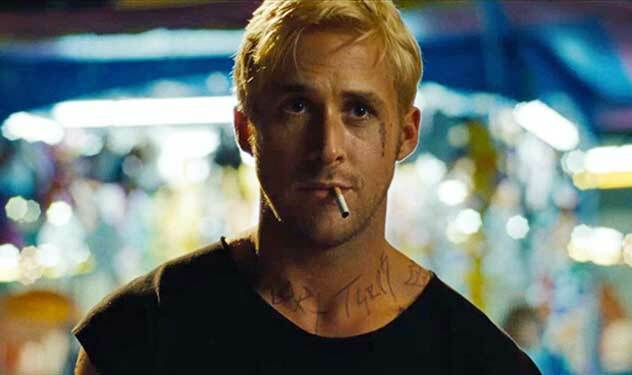 While some of these themes are revisited in ‘The Place Beyond the Pines’, it is the realness that is missing. There are far too many ‘coincidences’ and the shifting through time is unnecessary and incredibly cheesy. I found myself wanting to walk out when the film shifts to ’15 years later’ when, by a coincidental twist of fate, the two sons of Ryan Gosling and Bradley Cooper’s characters become friends. The portrayal of teenagers and the god-awful accent of AJ (Cooper’s son) was almost too much to bear. I was unable to empathise with the characters by this point – instead, they exasperated me and I was really starting to grow impatient with their sloppy character portrayal. Although Bradley Cooper’s character was initially intriguing and had the potential to be developed further, most of the second half was embarrassing, clunky and awkward – it literally made me squirm in my seat because of its awful dialogue.